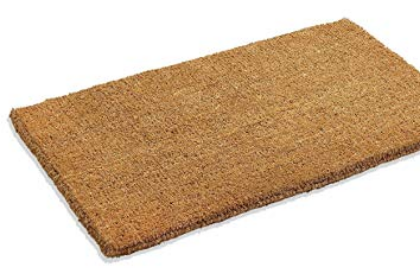 Hand-woven in traditional looms and then sheared to create a dense mat that traps dirt and moisture. 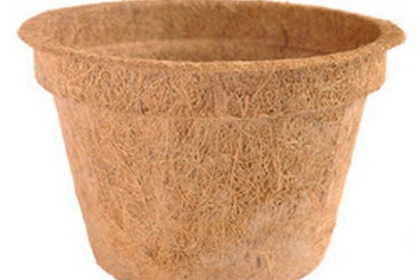 Flooring has been a popular coconut coir product around the world. Eco-friendly. Provides natural ground cover. When an area is devoid of vegetation, erosion tends to occur due to water and air. Synthetic textiles create additional problems: pollution, and leeching into the ground water. They do not always permit natural ground cover to take over. 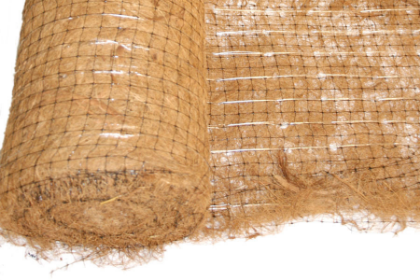 Our nets, have the optimum strength to hold back the soil for a sustained period. 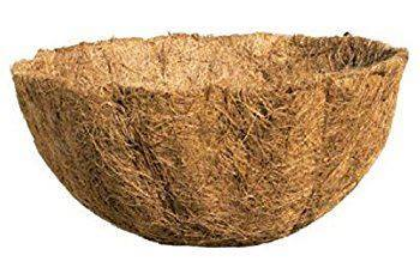 Made from the fiber between the outer husk and the meat of a coconut, which is then made into fibrous mats in hanging flower pots, window baskets and window boxes. Coco mats help hold the flowers and soil in place when you use open metal basket-like boxes. Plant into the sides of the mat so that your flower arrangements surrounds the entire outside of the planter. Product Description Organic and natural. Absorbent yet porous, releasing water slowly, to allow proper drainage. If baskets or planters become too dry, they will quickly reabsorb water. 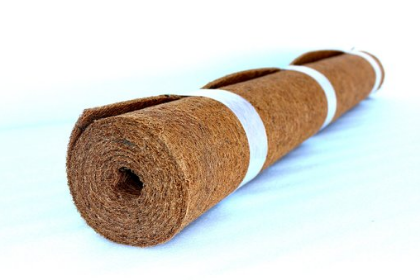 The organic material of coconut coir contains a neutral pH (6.0-6.7) and small amounts of beneficial phosphorus and potassium. Contains anti-fungal properties that discourages disease. Eco-friendly, organic and remain stable above ground for a year. Bio-degrades in the soil after 2 to 3 months, adding texture to the soil as they degrade. Plants grown in these pots benefit from air pruning. Roots will grow through the pot walls, encouraging a strong root system. 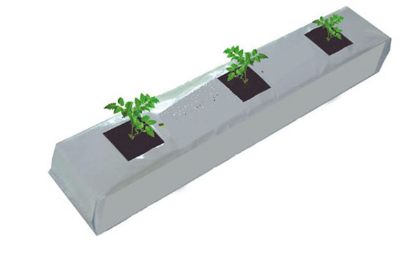 Absorbs water efficiently and helps to moderate moisture, increasing microbial activity. Great for mounting orchids, lining baskets or pots, crafts, terrariums, floral accent, pet bedding, as well as excellent for orchid plugs and seedlings. An eco-friendly alternative to sphagnum moss. Holds less moisture and re-wets more easily. Mix with other orchid mediums or potting soils such as orchid bark and sponge rock.